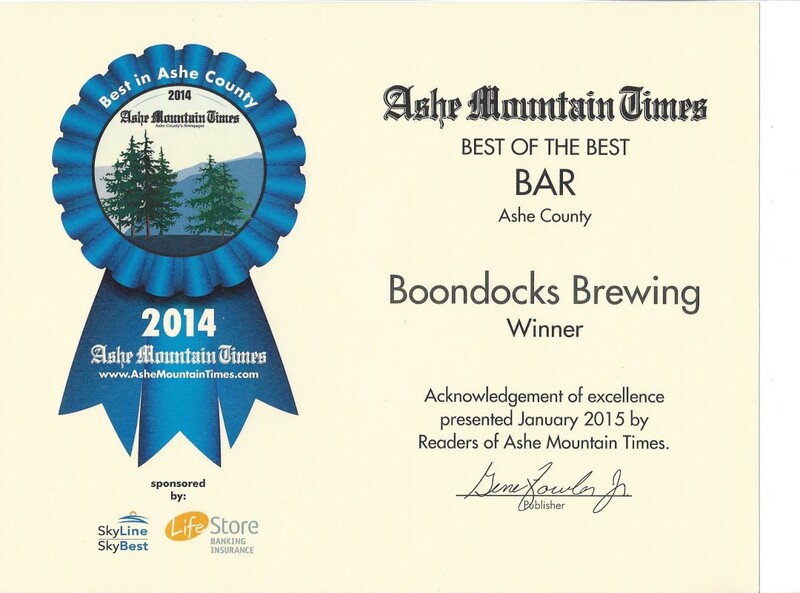 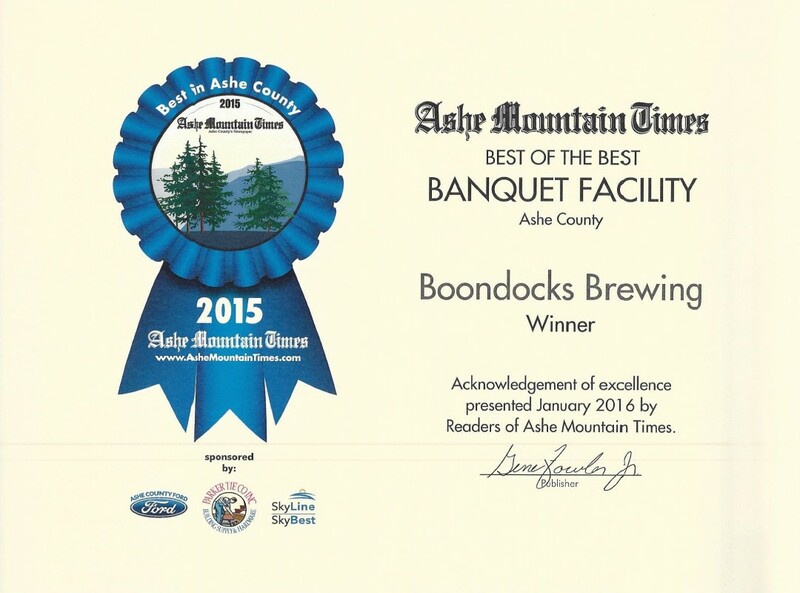 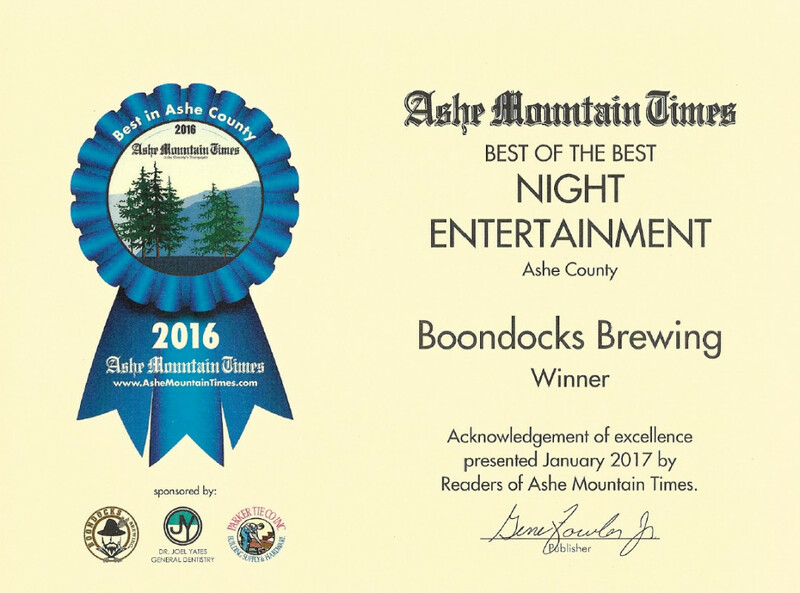 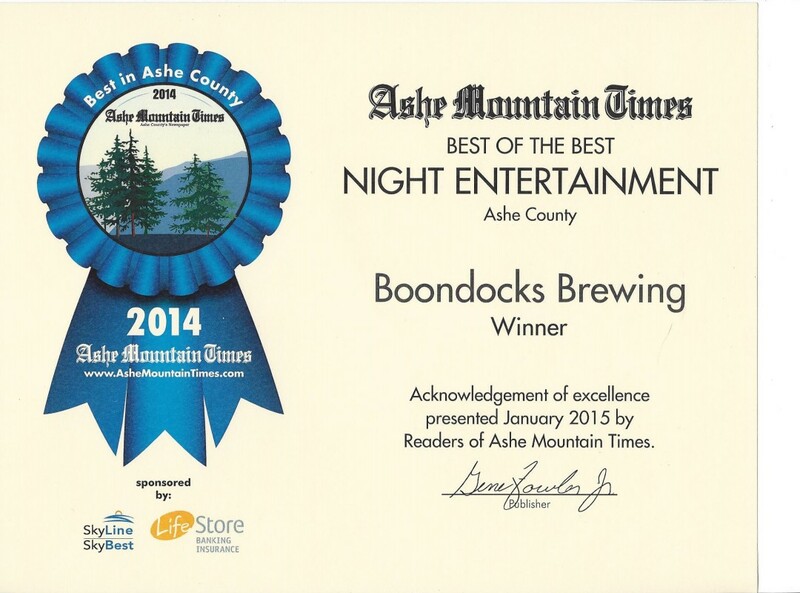 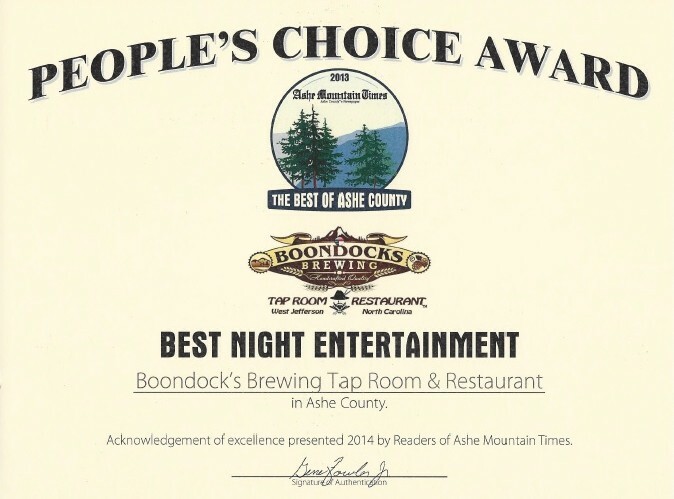 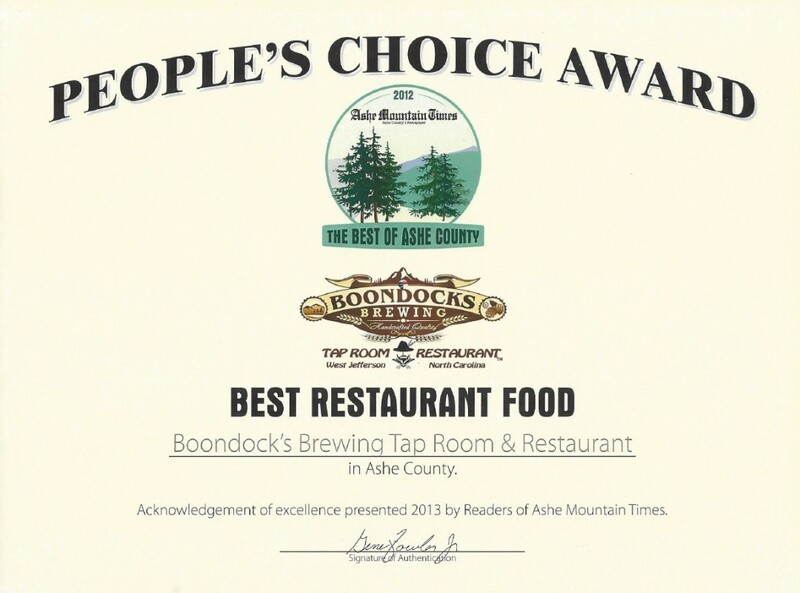 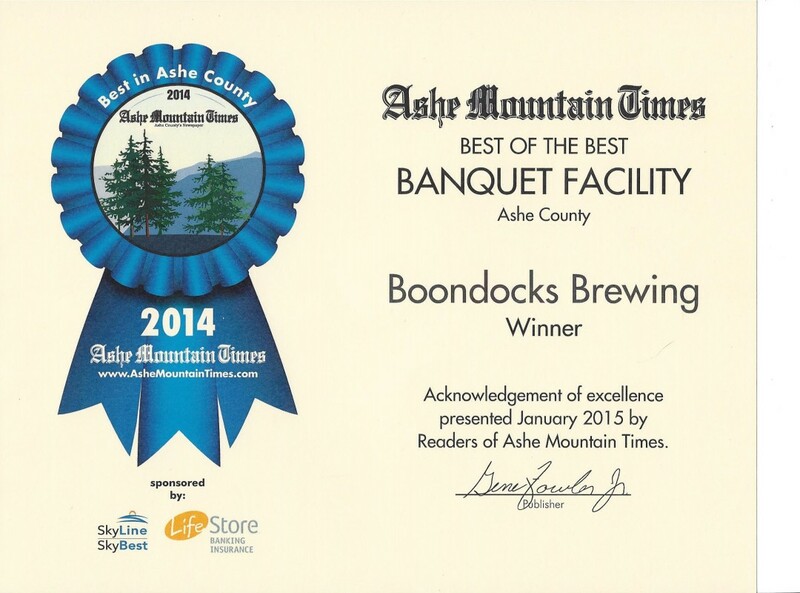 January 2017 - Best Bar, Best Banquet Facility and Best Night Entertainment in Ashe County by Ashe Mountain Times. 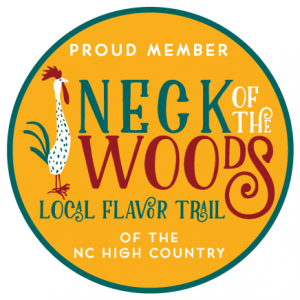 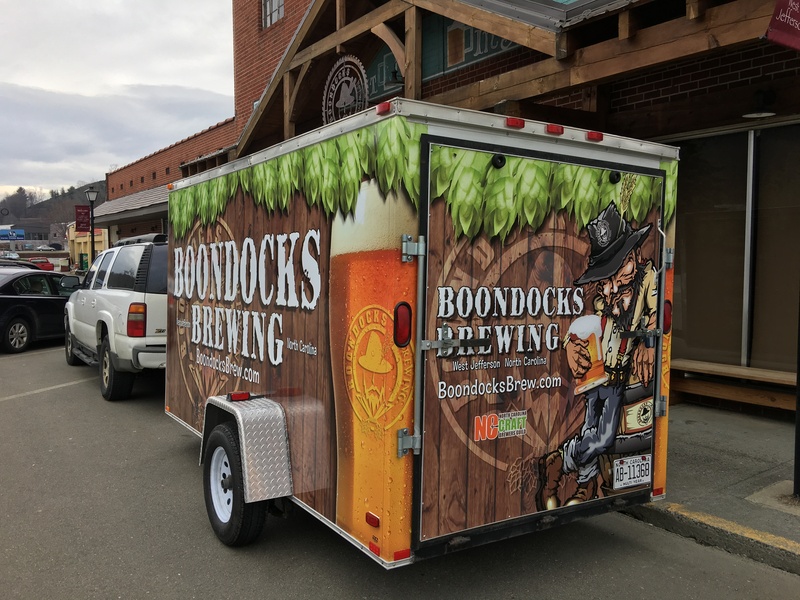 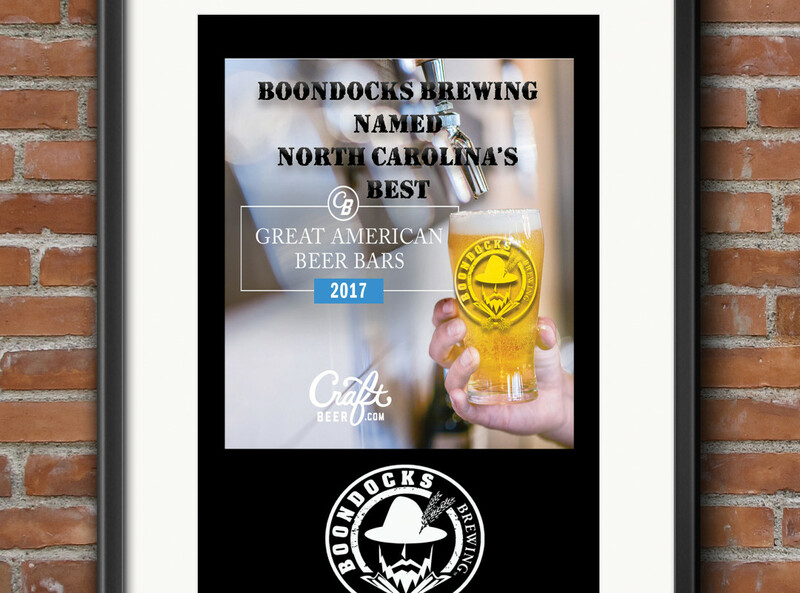 Boondocks Brewing was founded in 2012 with a mission to provide a fresh, unique and engaging destination for residents as well as visitors to Ashe County. 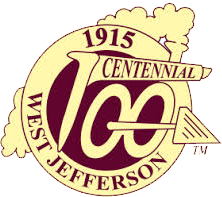 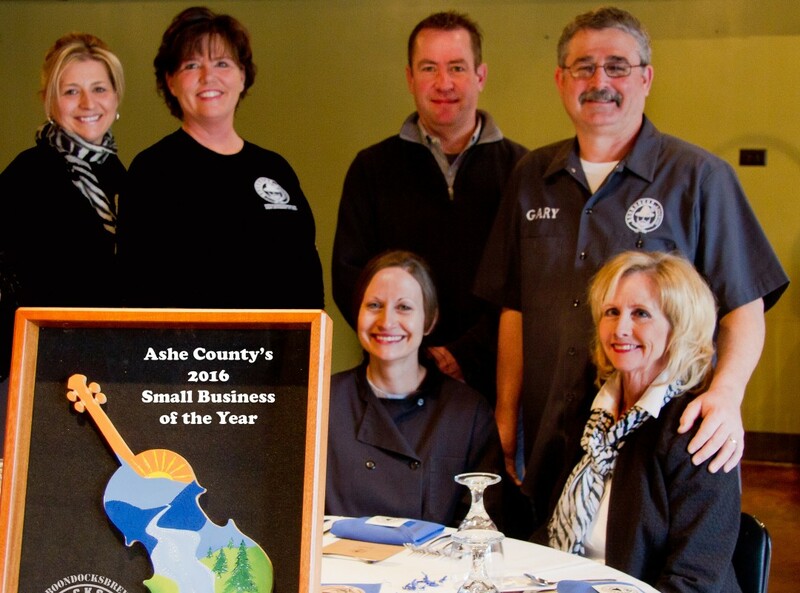 We are a locally owned and employee run small business that is Dedicated to Excellence and Committed to our Community. 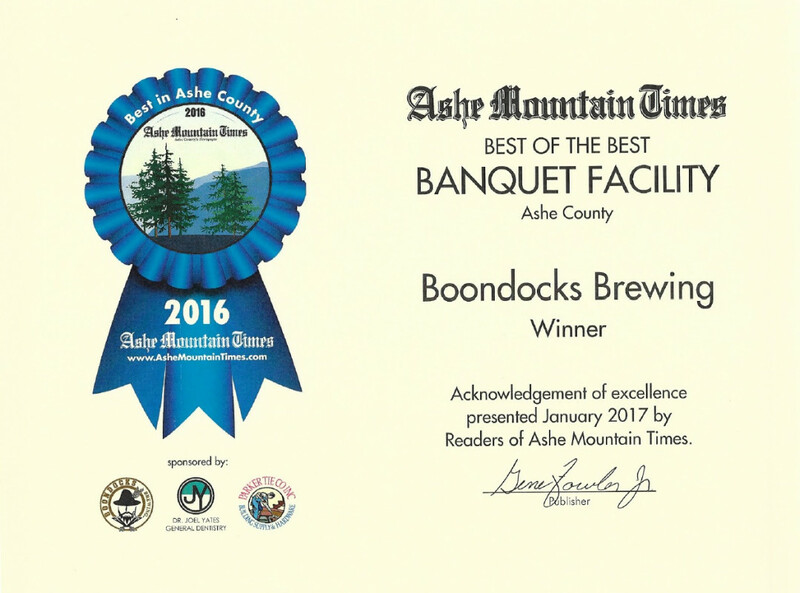 We are Ashe County's first and only commercially licensed Craft Beer Brewery and we brew small batches of hand crafted beers weekly. 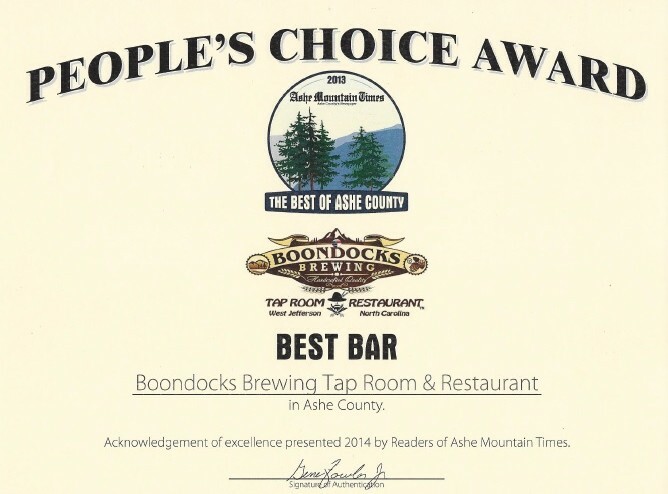 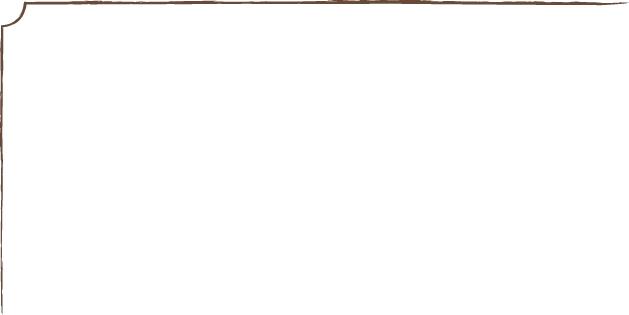 Boondocks Brewing's Tap Room & Restaurant located at 108 S Jefferson Ave is our main location with the High Country's best Craft Beer selection and an extensive and diverse menu with both inside and covered outside full service dining areas. 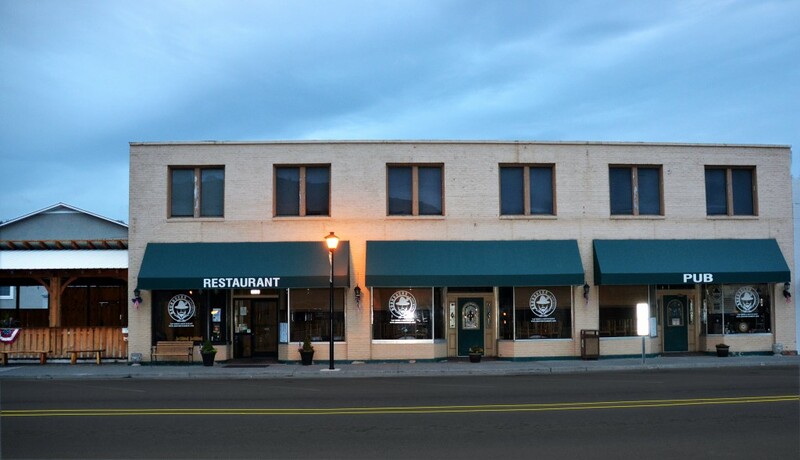 Open 11:00 am 7 days a week. 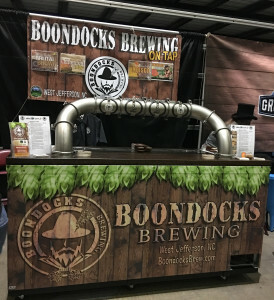 Boondocks Brewing's Brew Haus located at 302 S Jefferson Ave is the home of our Brewing operations and is also our special events venue where we can customize virtually any special event. 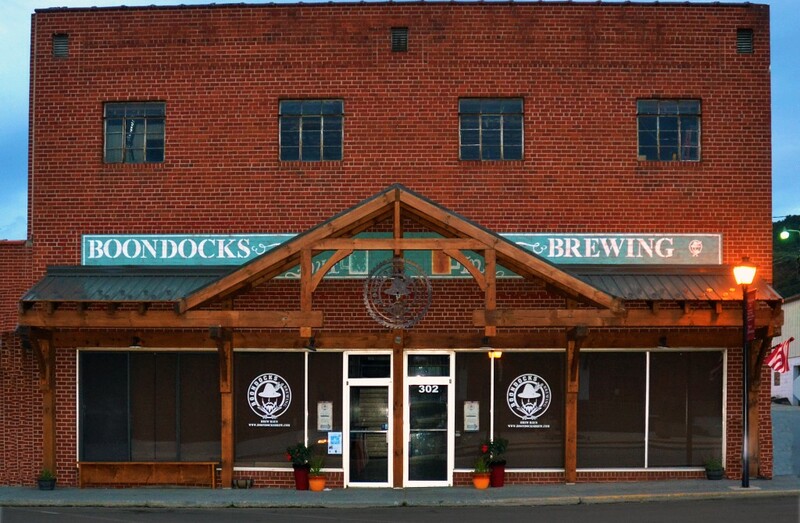 This location is open by appointment only or when we are are brewing (normally each Tuesday). 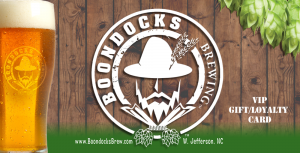 BoondocksBrewin Happy Easter! 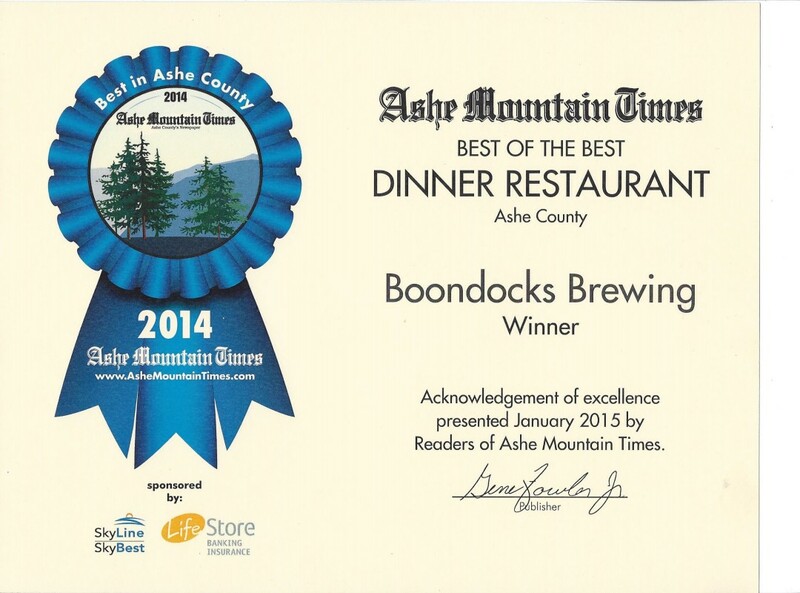 Enjoy lunch with Team Boondocks. 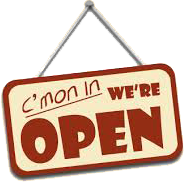 We have 75 cent wings and we have a lemon pepper dry rub. 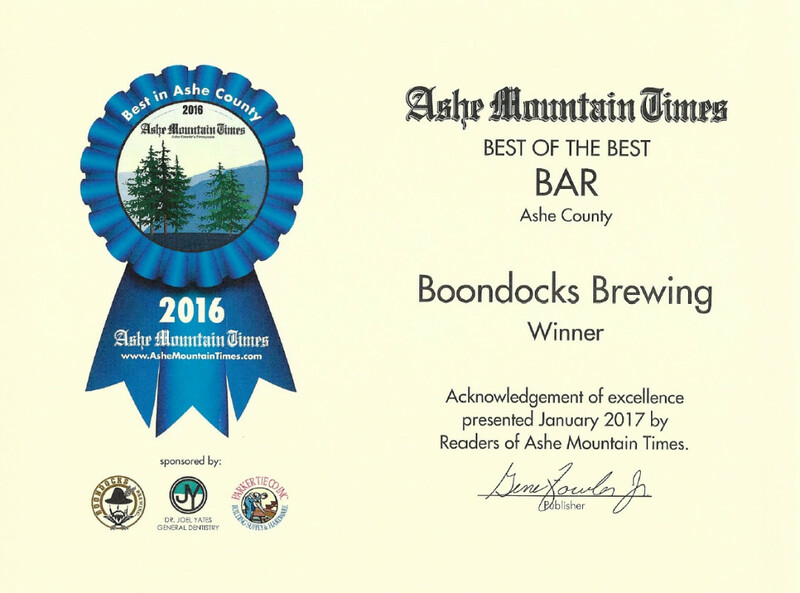 BoondocksBrewin Thank 🍺 You from Boondocks! 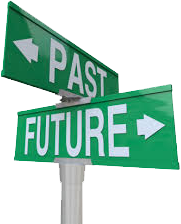 Here's what you missed if you didn't attend and how to reserve your spot for future events! 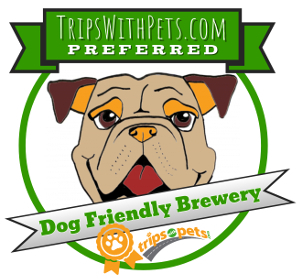 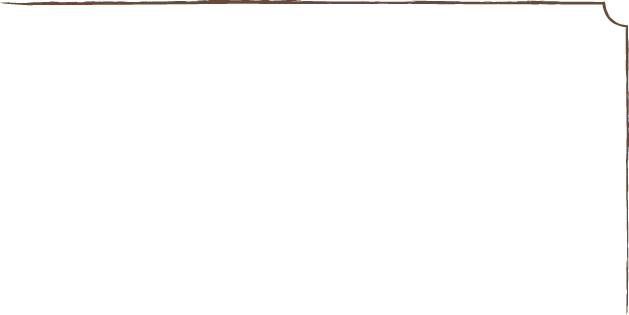 Brewing operations, special events, private parties, Weddings, monthly Wine and Beer Dinners, Community fundraisers. 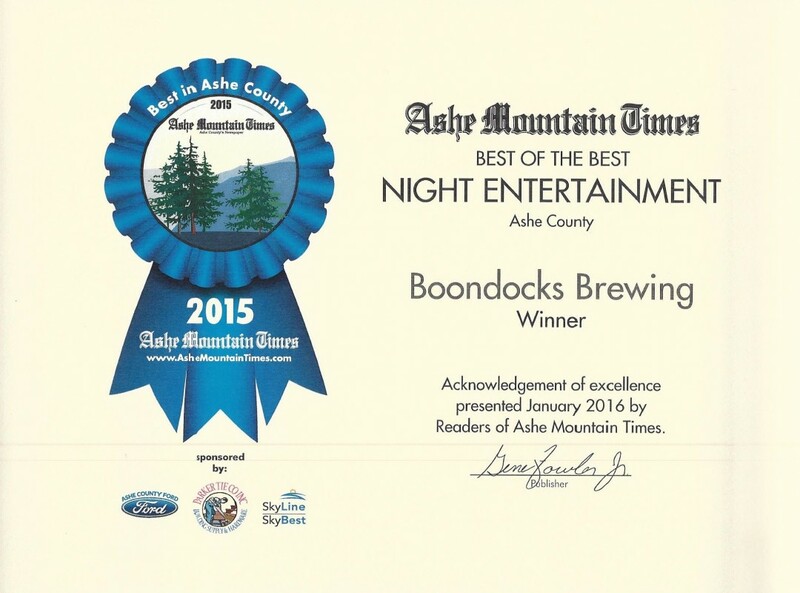 We are selective with the events that we participate in so if you see us at an event, you know it is worthwhile. 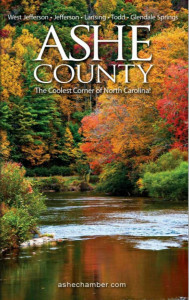 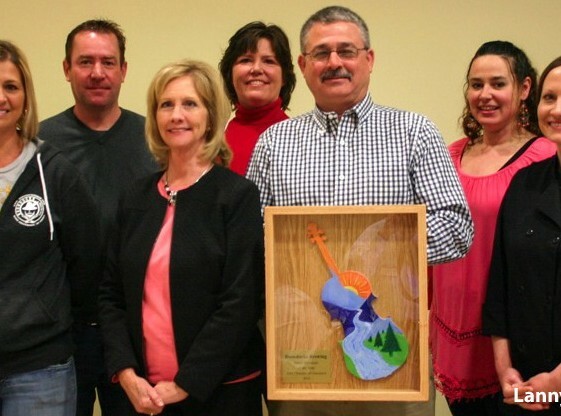 What else is happening in Ashe County?